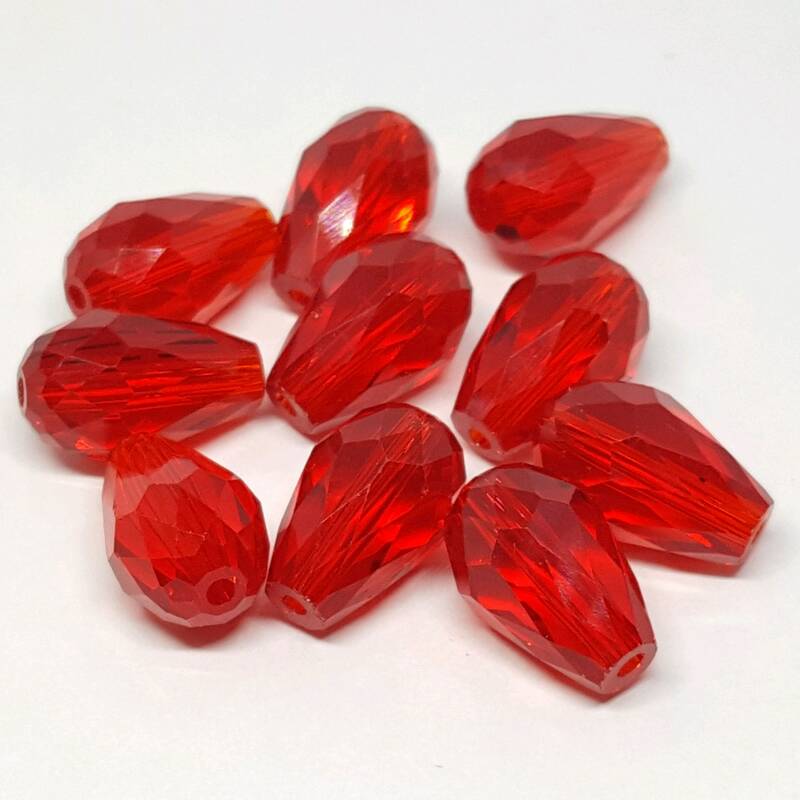 These elegant red faceted teardrop beads are gorgeous! They make lovely bracelets, earrings, necklaces and I also use them in creating my angels! These are also great to use as sun catcher beads because the twinkle as they reflect the light! Can never find the teardrop beads in red locally, and these are perfect. Good deal on the daisy spacers too, with everything packaged up nicely. Thanks so much!